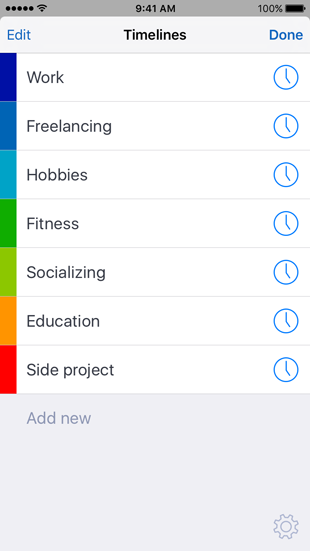 Today, I am delighted to announce that Timelines is launching on the App Store! 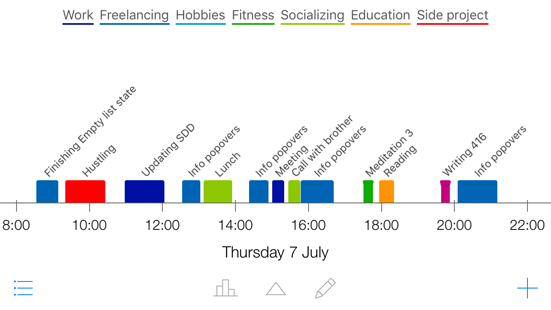 It’s a tool for tracking and visualizing time. Its development has been a long road with lots of bumps along the way. I poured my heart into it. That’s why it’s exciting to achieve this milestone of finally shipping version 1.0. Why another time tracking app? When I was researching time tracking apps, they were all focusing too much on time tracking itself and too little on displaying the tracked data in any meaningful way. 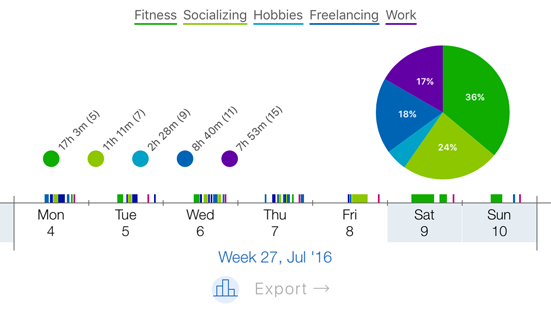 What’s the point of tracking time when I can’t get any meaningful insights out of it? When I got an idea for an app that would feature an interactive timeline, it all somehow suddenly made sense. At that moment I realized I have to build this thing, no matter what. Something that has a bigger cause – to help people lead more balanced and fulfilled lives. Something that I am passionate about, both from technical viewpoint and usage viewpoint. Something that I’ll use myself every day. Something around topic that I deeply care about, which is self-improvement. Something that is unique and different enough from the competition so it does have a chance in the extremely crowded App Store. 1) First, you define what you want to track. 2) You track time along the way. You can use the iPhone app, Today widget or Apple Watch app to do so. It’s also possible to set name for tracked events which will show up on the timeline. 3) Tracked time is showing up on the timeline, along with the event names from previous step. 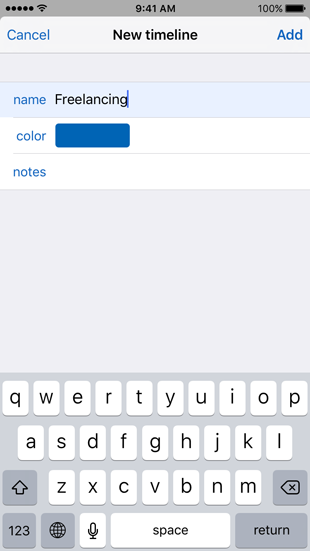 Any event can be edited just by tapping on it. 4) Whenever you want to see how you are doing, you can enable Statistics mode. 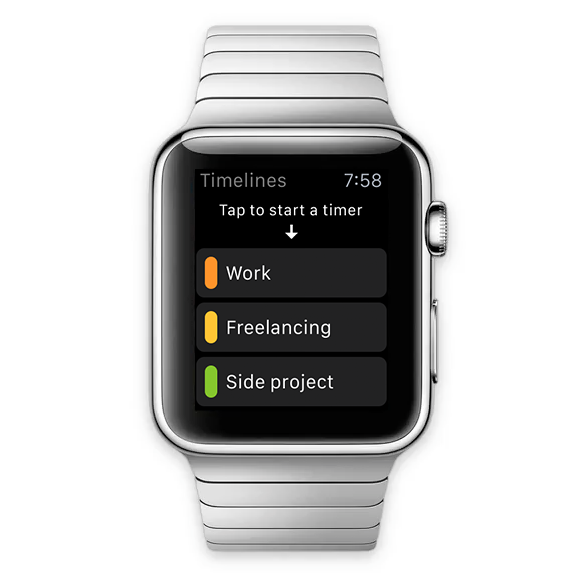 It provides interactive window into your time. You can scroll and zoom with the timeline to change interval. 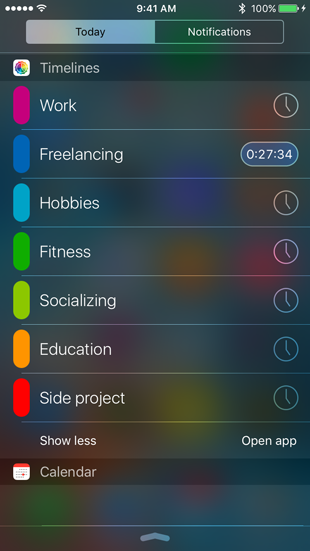 Timelines is available on the App Store today, for an introductory $4.99 (40% off the final price for just a few days). You can download it here. You can learn more at timelinesapp.io. To keep up with the news, you can follow Timelines on Twitter and Facebook. If you have an idea how to make it better, some question about it or just general feedback, I want to hear from you! You can email me at lukas@timelinesapp.io and I will do my best to answer as soon as I can. Version 1.0 is just the beginning, there are big plans for Timelines for the future and I can’t wait to keep improving it, together with the help from you!